This is nearly an impossible post to write. 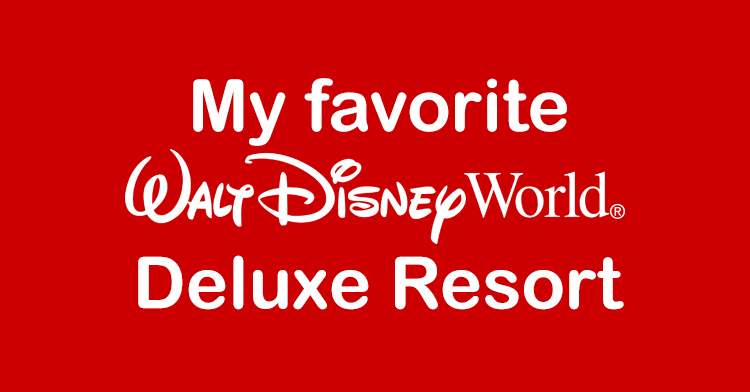 My favorite Walt Disney World Deluxe Resort? How about all of them? I think you could ask me to argue for any deluxe resort, and there would easily be enough Pro sides to the argument that it would be understandable. It is almost like asking me to pick which of my kids is my favorite. Ok, ok, fine, I am picking one of my kids as my favorite. My favorite Walt Disney World Resort is Disney’s Beach Club! What about the other Deluxe Resorts? As I said, I really like every single Deluxe resorts, they all have fantastic things about them, even a few little tiny things wrong about them. I would be happy as a clam at high tide if you told me I was staying in any of the deluxe resorts. Animal Kingdom Lodge is surrounded by a savanna. I mean, what is better than waking up at Disney with a giraffe outside your window? Fantastic rooms, restaurants, pool and everything else, but the resort is a bit isolated, you must take a bus to go anywhere, including Animal Kingdom Park. Wilderness Lodge – If you are wondering, Wilderness Lodge is THE PLACE to stay during the holidays. Really great resort, but Disney has turned half of it into a DVC resort, and like the Animal Kingdom Lodge, you have to take transportation to get anywhere. Boardwalk Inn is strangely enough, located on the Boardwalk. Fun resort, really fun pool and in a great location, being on the Boardwalk and all. The area gets a bit busy at night time, and if your room faces the Boardwalk it can get a bit on the loud side. Yacht Club is the Beach Club’s sister resort. They have separate lobbies and theming, but do share the fantastic pool. For some reason, I just don’t like the Yacht Club as much as the Beach Club, as the Yacht Club has a big convention center, so fewer families, kids, etc. Disney’s Grand Floridian is Disney’s premier hotel, located pretty close to the Magic Kingdom. Everything is first class, the rooms, grounds, hotels, pools and especially the view. It still confounds me that they built this beautiful hotel next to the Magic Kingdom, but you CANNOT walk there! Polynesian Village Resort, which recently change it’s name from just the Polynesian Resort. You really get the feeling you are in the South Pacific while at the Polynesian Village, quite a change from the craziness of the parks. Contemporary Resort is my runner up in favorite resorts. 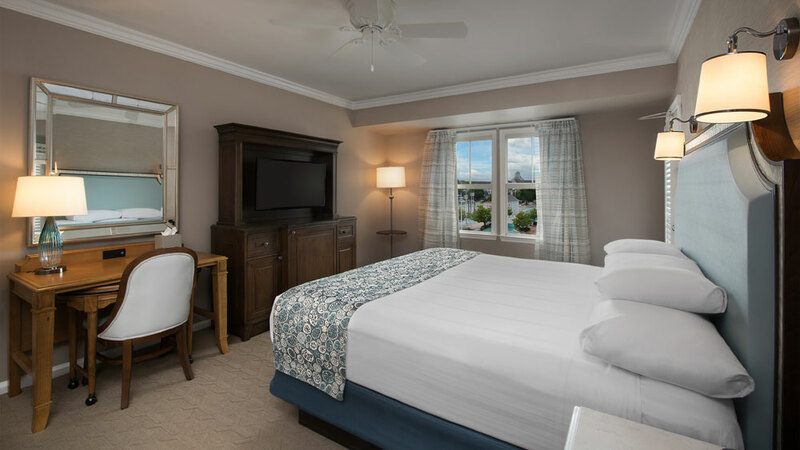 Many people don’t like ti for some reson, but the rooms are spectacular, the views are even better, and you can walk to the front gate of the Magic Kingdom in just a few minutes or hop on the monorail for Epcot. 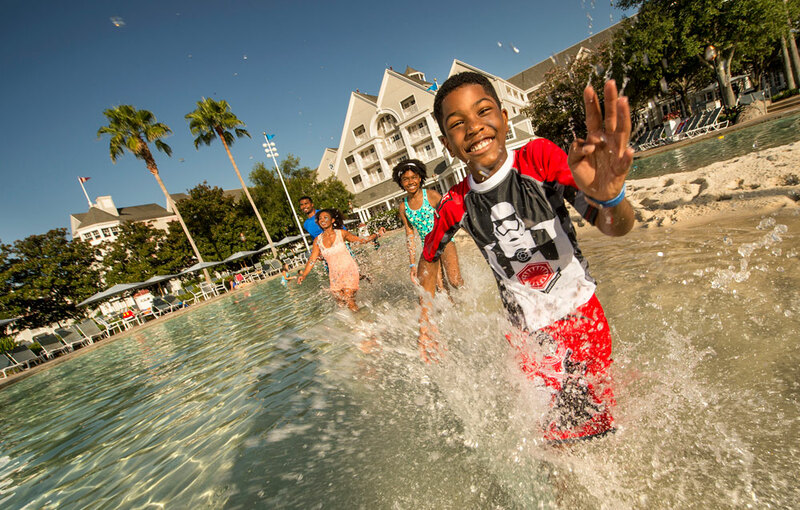 What makes Disney’s Beach Club Special? Location, location, location! – For me, there is no better location to stay at in Walt Disney World. There are a ton of restaurants within a 5 minute walk on the Boardwalk, at the resort and inside of Epcot. Access to the theme parks is second to none, a short walk from Epcot, a longer walk or boat ride to Hollywood Studios and bus service to Magic Kingdom and Animal Kingdom. With the new Disney skyliner station going in between the Beach Club and Epcot, this will give you another access point to Hollywood Studios as well as more restaurants at Caribbean Beach and the new Riviera Resort. 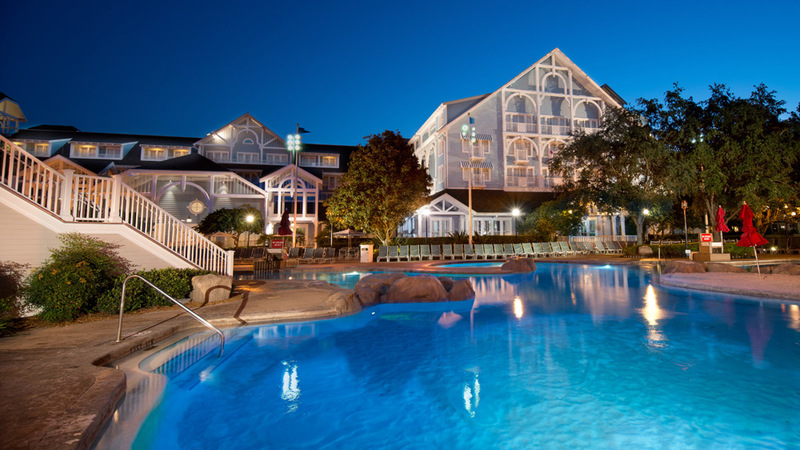 Stormalong Bay – Without a doubt, Disney World’s best swimming pool outside the two water parks. A giant lazy river, sand bottom pools and the longest water slide at a Disney resort, which you have to access on a sunken pirate ship out in the Crescent Lake, a great kids pool and all the shade and sun you can handle. Pretty much a baby water park. Everything else! – Once you have gone Deluxe, you never want to go back. The Beach and Yacht Club are home to Beaches and Cream, the best ice cream parlor around, fantastic grounds, rooms and the vibe is much like at Polynesian Village, it feels so far away from the parks, but you really aren’t. What are the downsides of Disney’s Beach Club? Location – Well, as I mentioned above, the location is down right perfect. However, if your plans at Walt Disney World include day after day at the Magic Kingdom, the Beach Club isn’t going to be your best destination. Have you stayed at Disney’s Beach Club Resort? ?